Summer got off to an adventurous start for a handful of current Oxford students and alumni. 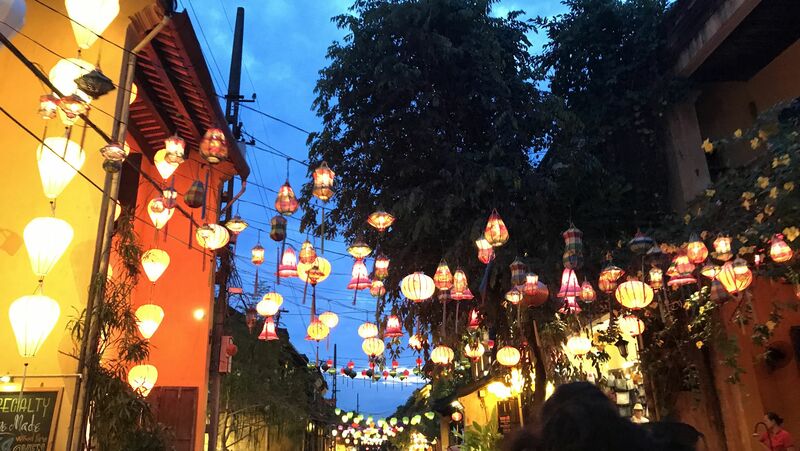 A dozen current and former Oxford students, along with Mike McQuaide, Oxford professor of sociology emeritus, and Stacy Bell 87Ox, Oxford professor of pedagogy in English, visited Vietnam for two weeks in mid-May. 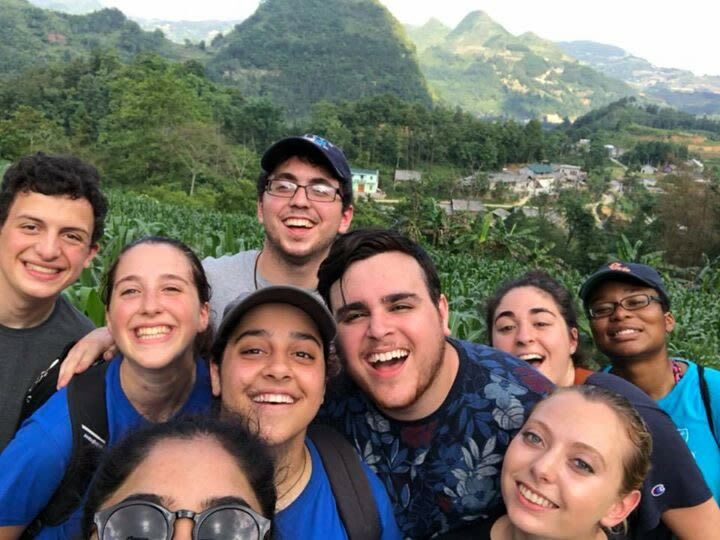 The trip was part of Oxford’s Global Connections program — a travel experience supported by Oxford’s Pierce Program in Religion. 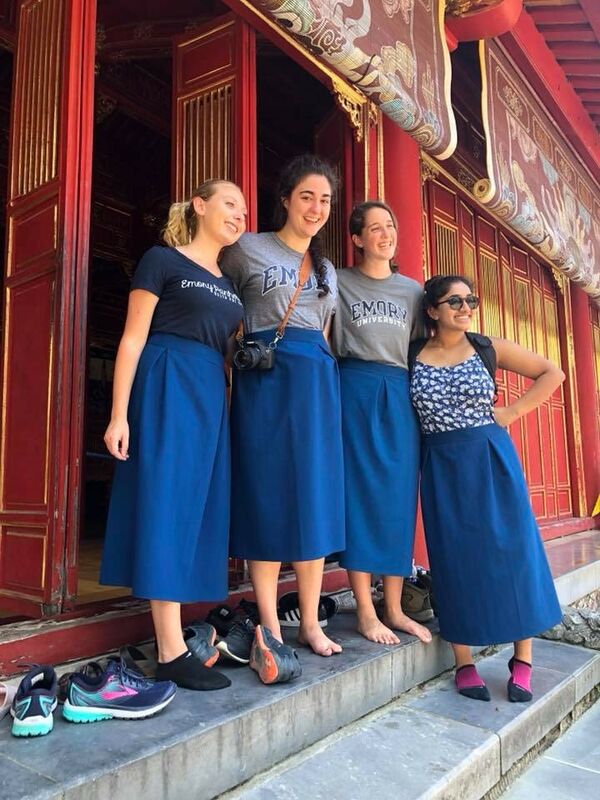 “I liked how this trip exposed me to different parts of Vietnam, such as their healthcare system, schools, rural life, and historical sites,” says Onyie Eze 18Ox 20C, a rising junior from Georgia, studying sociology and predictive health. Organizers designed Global Connections to help students create meaning in their lives and connect their religious and spiritual convictions with justice issues including peace, poverty, human rights, and the environment. The program started in 2006 with a trip to Montana and has since taken Oxford students, faculty, and staff to Poland, Turkey, the United Kingdom, Germany, and Costa Rica. The focus for this year’s trip was on the effects of globalization on Vietnam. 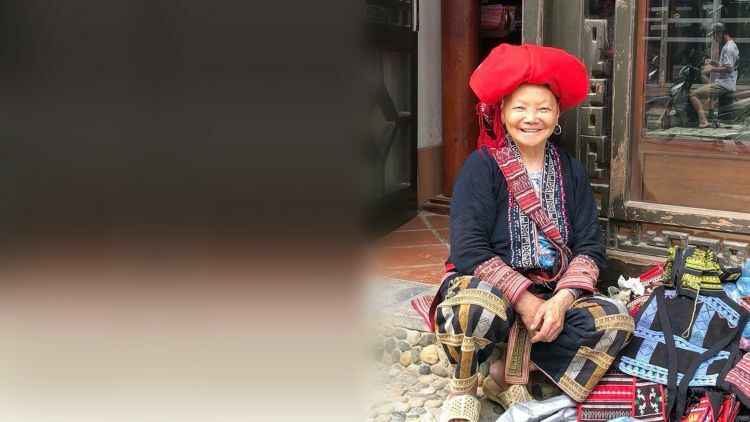 LeVan Cuong, a close friend of McQuaide who owns a Vietnamese travel company, served as the group’s guide. 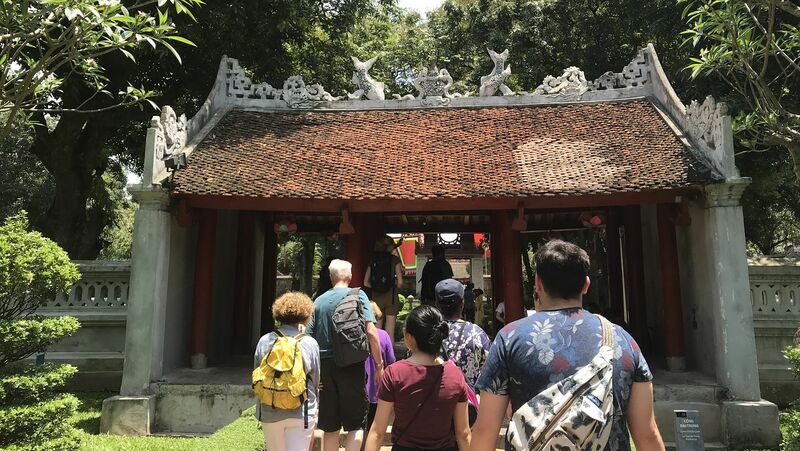 The travelers visited Hanoi to see urban development and the deep history of Vietnam, including visiting the Institute of Acupuncture and the National Hospital of Traditional Medicine. They toured Da Nang to learn about foreign investment in Vietnam. 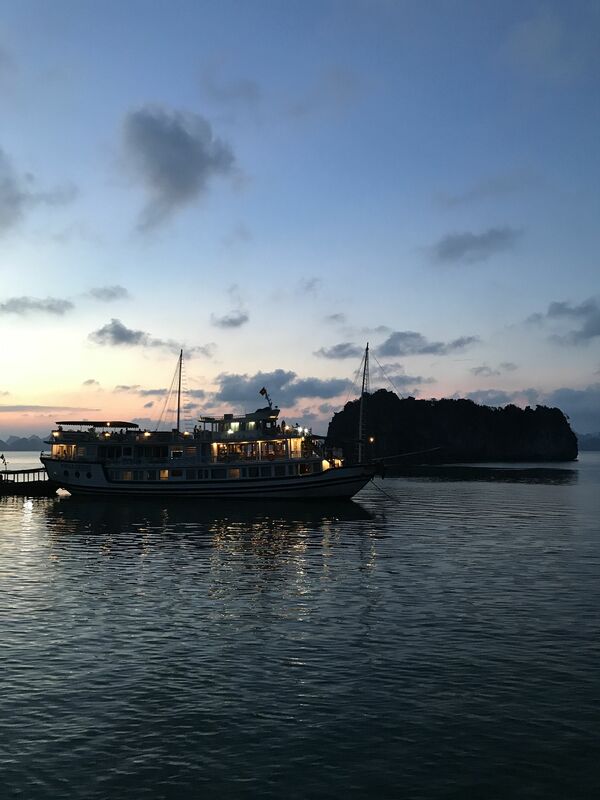 The group visited Hạ Long Bay, Vietnam’s major tourist attraction, and learned about the nature of tourism in Vietnam. 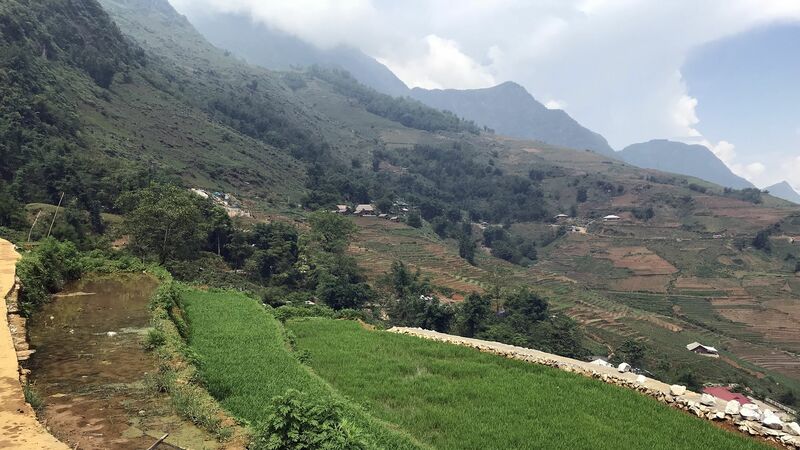 They also spent time in Hmong country to learn from the ethnic group about the challenges they face in preserving their traditional culture in a globalizing context. The trip gave students a more nuanced understanding of others’ experience in a rapidly changing world. 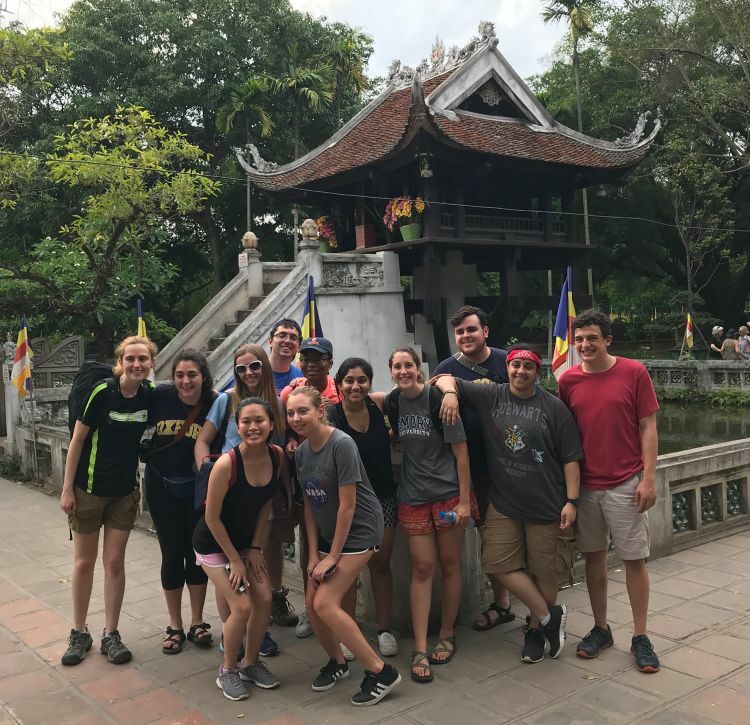 The Global Connections program seeks to challenge the students’ notion of the world they might take for granted as they interact with Vietnamese people and culture, McQuaide notes. “This is designed to aid the students’ development of a much more sophisticated understanding of global dynamics,” he adds. 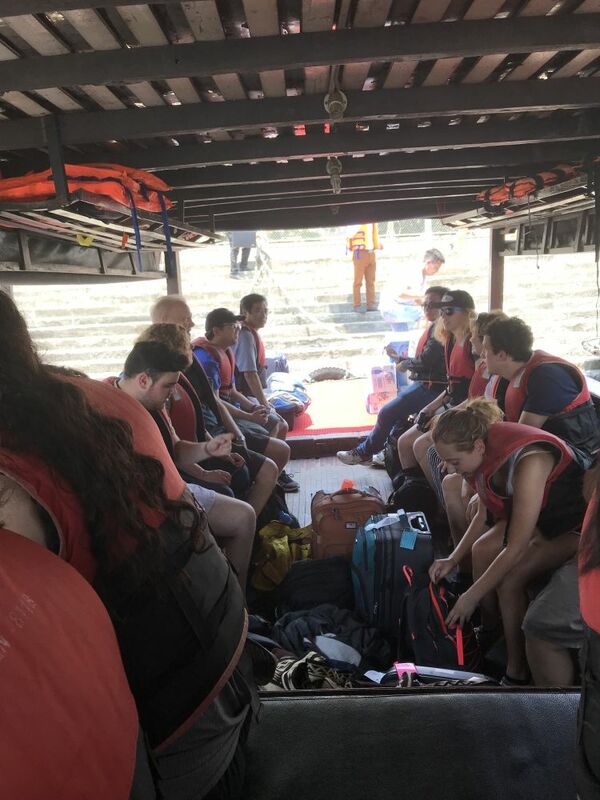 The group also had some fun: kayaking in the bay, racing along jellyfish and in between caves and limestone rocks; walking through a night market in Hội An; and hiking in Sa Pa alongside water buffalo. 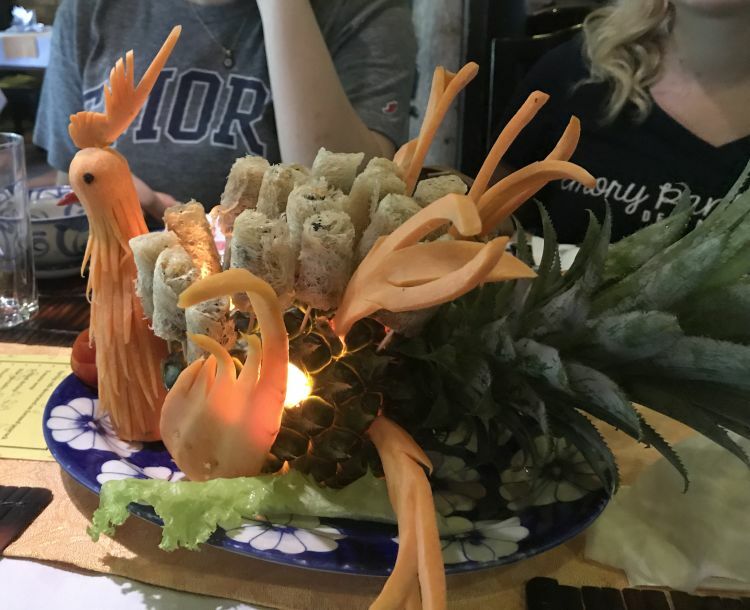 The students especially enjoyed the food. Pumpkin soup, local fish, coconut and fruit juices and fruits such as mangosteen and rambutan were some of the local dishes they enjoyed. The Global Connections 2019 trip will be to New York City with the theme: “From Street Art to the Gallery: Individual Expression, Social Justice, and the Commercialization of Street Art.” Participants will explore the themes of social justice, diversity and representation, and public pride in space. For more information, contact Tasha Dobbin-Bennett, assistant professor of art history and studio art, or Lyn Pace.